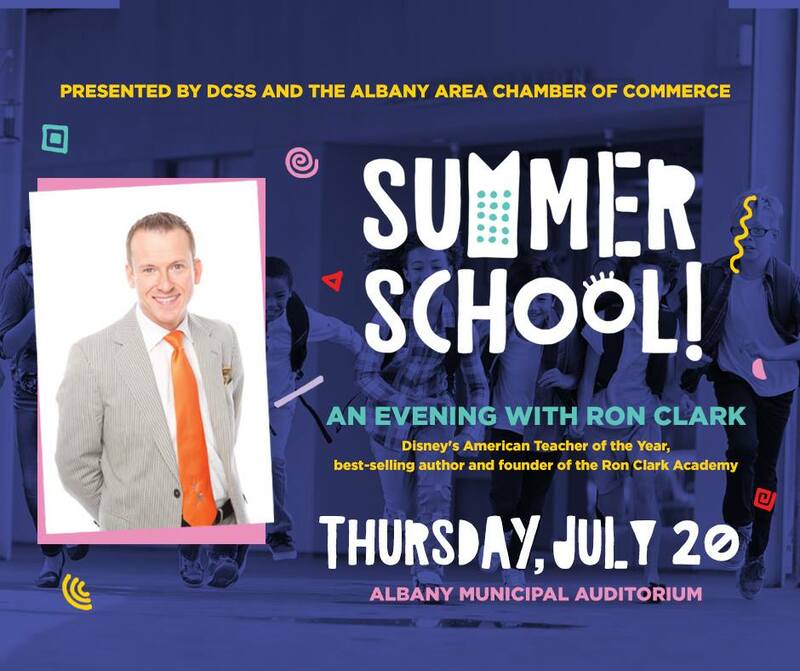 Summer School – An evening with Ron Clark, presented by the Dougherty County School System + the Albany Area Chamber of Commerce // Thursday, July 20 // 4 PM – 7:30 PM // Albany Municipal Auditorium @ 200 N Jackson St. // Tickets available here. 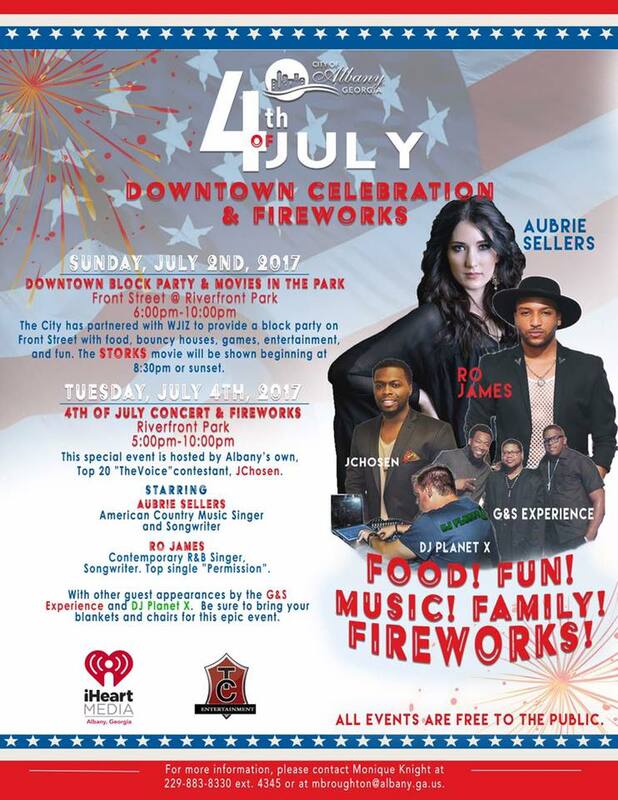 City of Albany 4th of July Downtown Celebration + Fireworks // Sunday July 2, 6 PM – 10 PM + Tuesday July 4, 5 PM – 10 PM // Riverfront Park in downtown Albany // Free to the public. 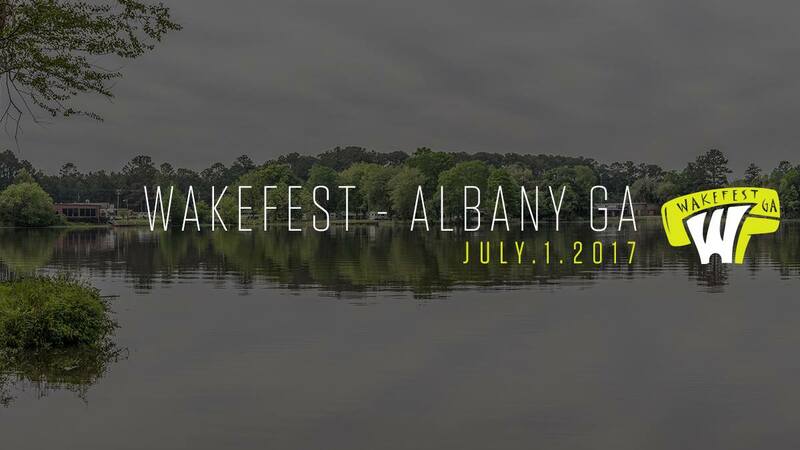 Wakefest – Georgia Wake Series, Stop 3 // Saturday, July 1 // 8 AM – 5 PM // Chehaw Park + Zoo @ 105 Chehaw Park Rd, Albany, GA 31701 // $35 entry fee, online at https://www.gawakeseries.com/events/2017/wakefest-albany. 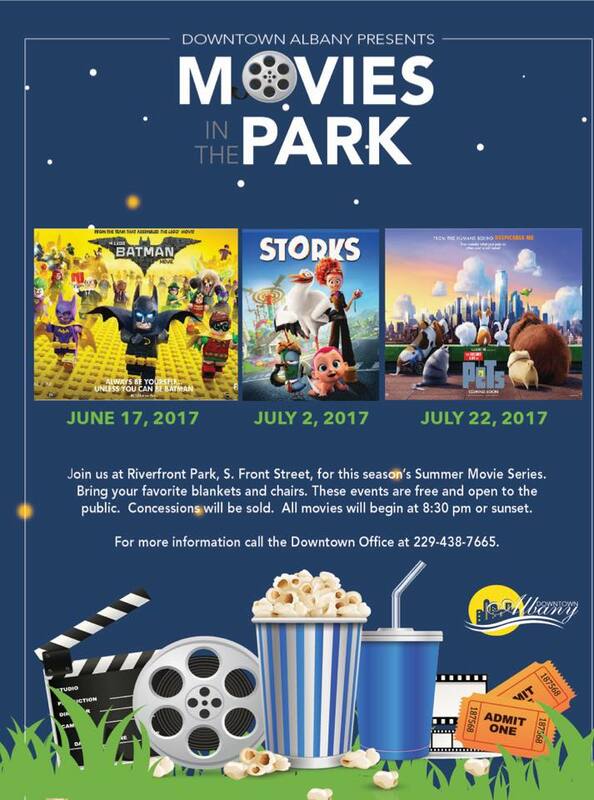 Movies in the Park // Saturday, June 17 – Sunday, July 2 – Saturday, July 22 // 8:30 PM or sunset // Riverfront Park on S. Front St. in downtown Albany // Free to the public // Call 229.438.7665 for more info. 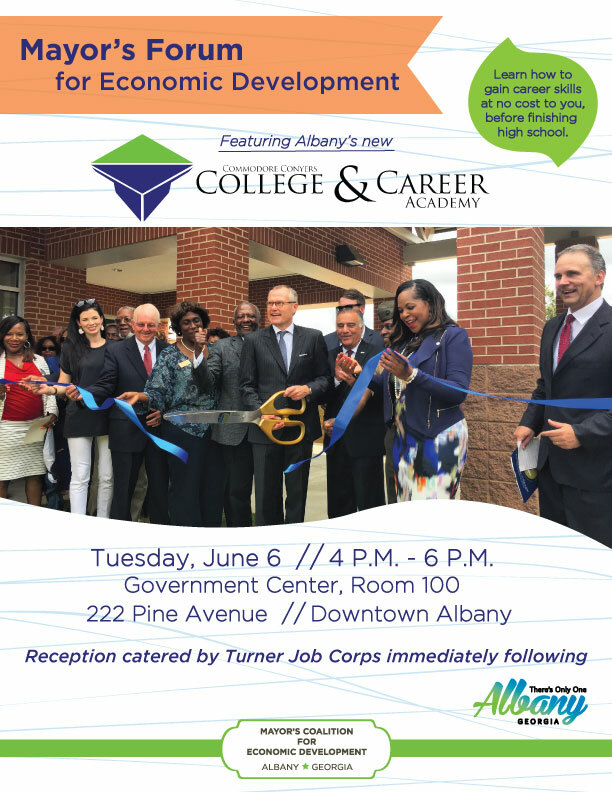 Mayor’s Forum for Economic Development featuring Commodore Conyers College & Career Academy // Tuesday, June 6 // 4 PM – 6 PM // Albany-Dougherty Government Center @ 222 Pine Ave in downtown Albany // Free to the public. 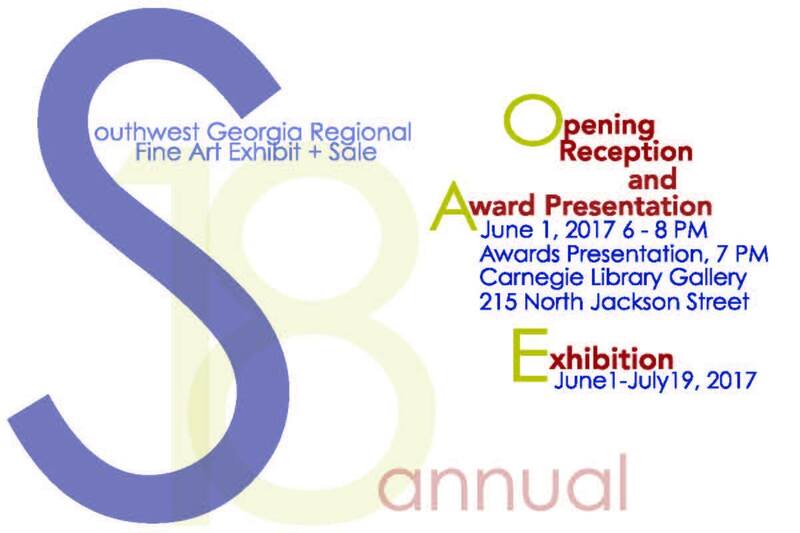 Southwest Georgia Regional Fine Art Exhibit + Sale – Opening Reception // Thursday, June 1 // 6 PM – 8 PM // Albany Area Arts Council @ 215 N Jackson St. // Free to the public. 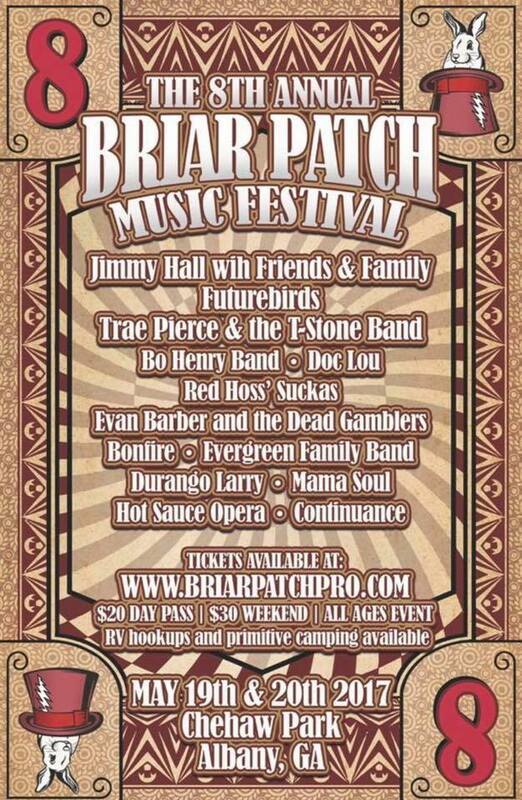 8th annual Briar Patch Music Festival // May 19, 4 PM – 12 AM + May 20, 11 AM – Until // Chehaw Park + Zoo @ 105 Chehaw Park Rd, Albany, GA 31701 // $20 day pass, $30 weekend pass – available online at www.briarpatchpro.com. 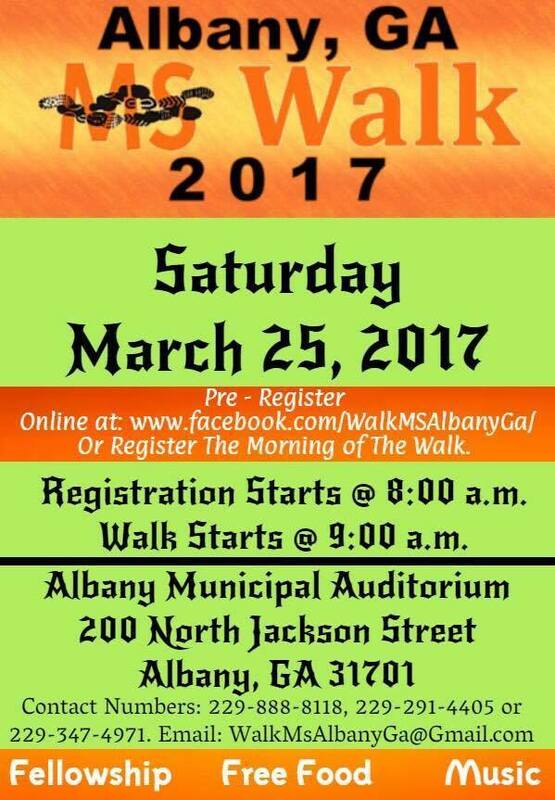 Albany MS Walk // Saturday March 25, 2017 // Registration- 8 AM, Walk- 9 AM // Albany Municipal Auditorium @ 220 N Jackson St Albany, GA 31701 // Register on site, or online at https://www.facebook.com/WalkMSAlbanyGa/. 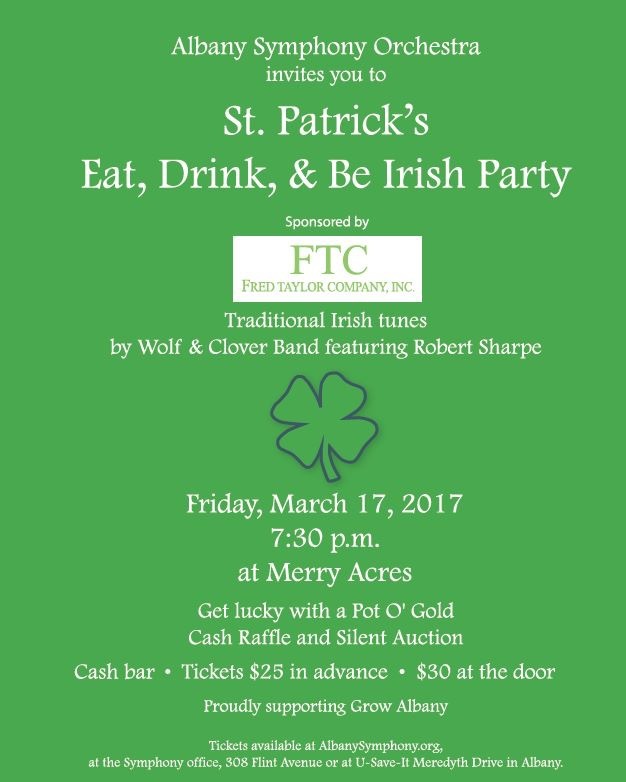 Albany Symphony Orchestra Eat, Drink, + Be Irish Party // Friday, March 17 // 7:30 PM // Merry Acres Inn + Event Center @ 1504 Dawson Rd, Albany, GA 31707 // Tickets $25 in advance, $30 at the door.